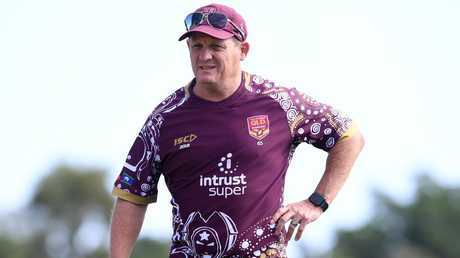 FORMER Broncos playmaker Ben Ikin believes Queensland State of Origin coach is the man to lead the Brisbane despite being relegated to back-up status as the NRL club seeks to secure a new coach. 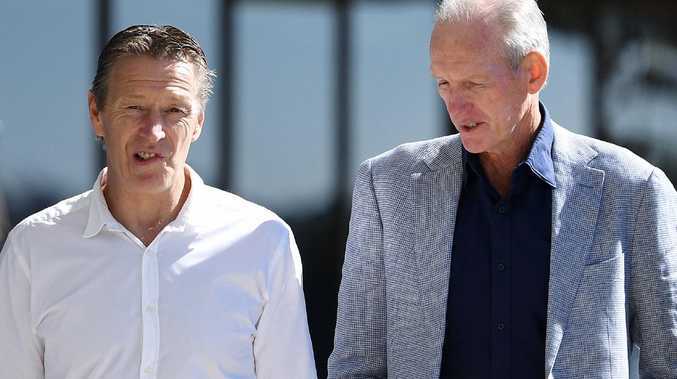 Current Broncos coach Wayne Bennett's contract expires at the end of 2019 but the club has already launched a bid to secure Melbourne Storm mentor Craig Bellamy on a lucrative deal. Bellamy is expected to announce his future as early as Tuesday, and if he sticks with the Storm, Walters is reportedly in competition with Paul Green and rookie sensation Anthony Seibold. But Ikin rates Walters above the others, and says "he is good enough, big enough and has a strong enough character, to move past" the fact he is only seen as a back-up option. "If you remember, when Kevvy got the (Queensland) job he did it as last man standing. He tells the joke about how Alf (Allan Langer) rang him up and asked to speak to Steven Bradbury," Ikin said. Speaking on NRL360, Ikin expected Walters to take it in his stride despite being groomed for the role before Bellamy came into the equation. "To be able to accept the [Queensland] job that way, push it to one side and get on with the business of winning an Origin series... He didn't just do it once, he did it twice," Ikin said. Ikin went further saying he can't see Walters' management of the Maroons rebuild "ever being rivalled in sport". Seibold is the bolter in the conversation, with reports emerging at the weekend that he had support from members of the Brisbane hierarchy after Souths' impressive start to the season. But league commentator Phil Rothfield said it's hard to fathom that a coach of 13 NRL games experience could be picked up by the "major rugby league franchise in the country". "I found it a bit hard to believe," Rothfield said. "What the Broncos showed by chasing Craig Bellamy is that they didn't want Wayne Bennett from 2020 onwards. "They'd also already put feelers out for Paul Green before they went for Craig Bellamy. If you're asking me who will coach in 2020 I'd say Kevin Walters."